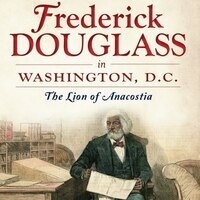 John Muller, author of Frederick Douglass in Washington, D.C.: The Lion of Anacostia and Mark Twain in Washington, D.C.: The Adventures of a Capital Correspondent, will present "The Lost History of Frederick (Bailey) Douglass in Baltimore" using newly discovered information found in the Baltimore City Archives, Maryland Historical Society, Enoch Pratt Free Library, and private archives. Muller has presented widely throughout the DC-Baltimore metropolitan area at venues including the Library of Congress, Newseum, Politics and Prose, American Library in Paris and local universities. He is currently working on a book about the lost history of Frederick Douglass on Maryland's Eastern Shore.